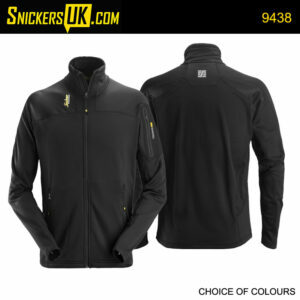 Stay warm while at work with our selection of Snickers Fleeces – Designed to keep you warm in a range of materials and styles. Warm, light and stretchy. For a perfect second layer, wear this extremely smooth and comfortable fleece jacket, made of advanced high-loft fleece for superior insulation and softer feel. Cold? No way in this advanced high-functionality fleece jacket in body mapped design. A soft, warm and extremely stretchy second layer, combining insulation and ventilation for superior working comfort.